Tracks * Om Namah shivay * Hare Krishna [Krishna Mahamantra] * shri Krishna Govind * Thumak Chal.. Tracks * Dhyana * Samadhi * Moksh Language: Instrumental Genre: Devotional Artist: Pandit Ro.. Tracks * Karagre Vaste Lakshmi - Morning Shloka * Gajananam Bhutaganadi Sevitam - Ganesha * Gayat.. Tracks - 1 * Gayatri Mantra [for morning chanting] * Krishna Mahamantra [Hare Krishna] * Va.. 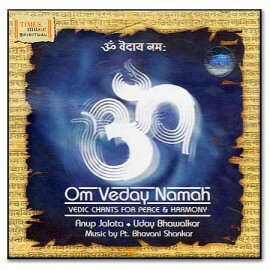 This album is a delightful musical interpretation of some of the greatest devotional verses in india.. 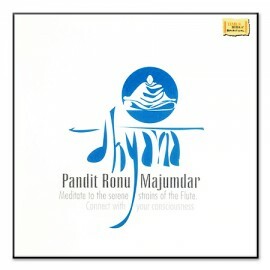 This inspiring album of devotion puts us on the road of spirituality...... Tracks * Gayatri.. Tracks * Signature Prayer * Mangalacharan * Introduction Comment... * Chanting Of Navkar M... *.. Tracks * Rigveda * Prabhu Ke Bas Mein * Yajurveda * Prabho Jeevan Swami * Samveda * Jyoti Swap.. Tracks * Shloka * Shree Gajendra Moksh... * Deen Dayal * Meri Naiya * Hari Bol Language: San..